The Dallas Mavericks will host the New York Knicks on Friday night in the NBA. The Mavs (2-6, 2-1 home) are in a rather peculiar situation right now. 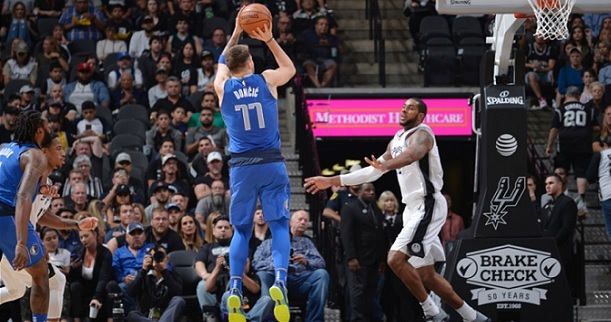 The team was expected to do well this season after the additions of DeAndre Jordan and Luka Doncic, and indeed, the Mavs didn`t play bad basketball. However, they are 2-6 so far this season. Their record had a lot to do with meeting strong teams and playing most of the matches away from home. The team is not looking bad, but the record is still very worrying. The Knicks (2-6, 0-3 away) are in full tank mode this year, hoping to get a high draft pick next year. New York has been dreadful so far this season, aside from their two home wins against two other horrible teams: Hawks and Nets. Last time out the Knicks lost by 6 points at home against the Pacers. It wasn`t a bad game from NY, but not a good one either. Bet on Mavericks vs. Knicks and claim your 100% (120 Eur) free bet at LSbet now! Team news: The Mavs will continue to miss Dirk Nowitzki and Devin Harris. The Knicks will be without their rookie Kevin Knox yet again. Lee and Hicks are doubtful, while their main main Porzingis is out for some time. The Mavs will view this game as a must win after their bad start, and the players will surely be up for it after missing a couple of close wins recently. The Mavs might be 2-6, but they really didn`t play bad basketball this season, and seemed to improve game by game recently despite collecting 5 losses in a row. One must take into account that the last 4 losses were against some of the strongest teams in the NBA (3 of them on the road), and all those matches were competitive. In the last two outings, the Mavs took the Spurs into overtime, and would have done the same thing against the Lakers if not for a brain lapse by Wesley Matthews, who made a dumb mistake and put the Lakers at the free throw line in the last 2 seconds. The Mavs are attacking the playoffs this year, they feel they are good, and they are. They have been waiting for this game after the recent brutal road trip, and will be fired up to get back in the winning column. Expect the Mavs to come out firing after the recent narrow losses, and they should be able to take out their frustration on the Knicks. I have to admit the fact that I find the handicap potentially slightly risky because of the youth of the Mavs (which could translate into blowing a lead, or being second best in garbage time), but I am confident in their win here, and I will invest max stakes on the Mavs winning straight up. I believe odds will drop, though I can`t say that for sure – maybe the general public views the game differently. Fact is, I`m feeling very comfortable taking the Mavs here with big stakes. My tip is Dallas to win. Prediction: Dallas Mavericks – New York Knicks 120 – 100.
i dont follow every mavs game, but lakers can easily blow them out. Mavs game just not chicking most of the game (just standing around ), i cant see how they are improving if u court the last game. Depite it is a 1point loss, they re just not there most of the game and deserve a much bigger lost. Guess you were right, they played too much ISO just like you said. I thought they shared the ball better in the previous games, but it seems there`s something wrong with this team at the moment. Ugly and costly loss on this bet. I don`t think the H2H matters, as both teams are different compared to the last seasons.